Implementation of proven practices builds a fruitful leader. Some people can stick a plant in the dirt and it flourishes as if by magic. Not everyone has that knack. But every garden can flourish—even if the gardener lacks a green thumb—when specific natural laws are applied. So it is with leadership. Certain people have natural abilities when it comes to communicating, building relationships, and creating affirmative cultures. However, the rest of us can learn how to cultivate these traits and experience abundant harvests as a result. 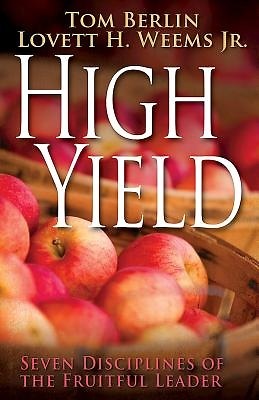 In their book, High Yield, church leadership experts Lovett H. Weems, Jr. and Tom Berlin share the practices they’ve found to be the most fruitful as well as what they’ve seen exemplified in others. Every chapter focuses on a specific leadership practice and offers tangible examples of success that will inspire and motivate.